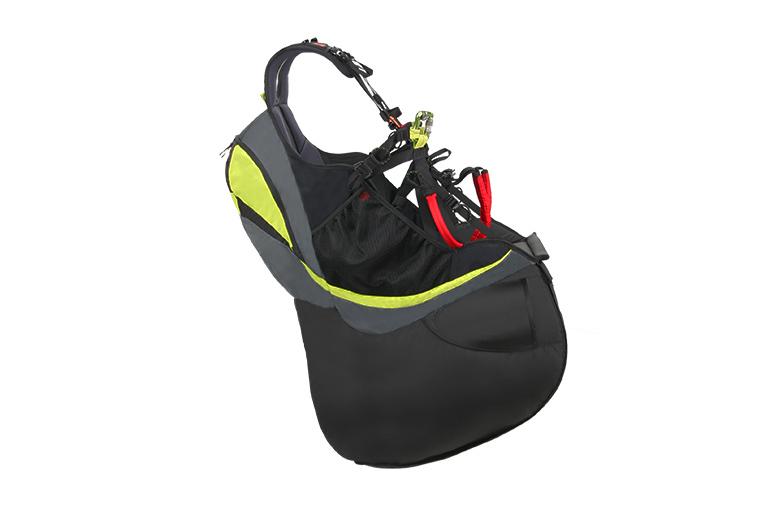 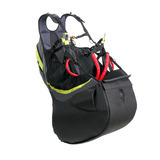 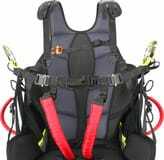 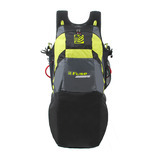 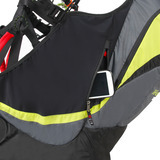 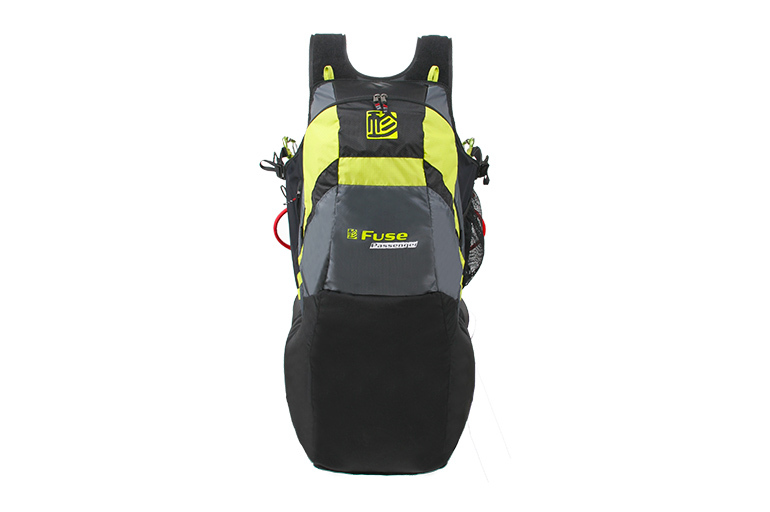 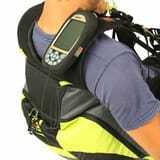 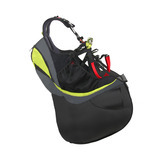 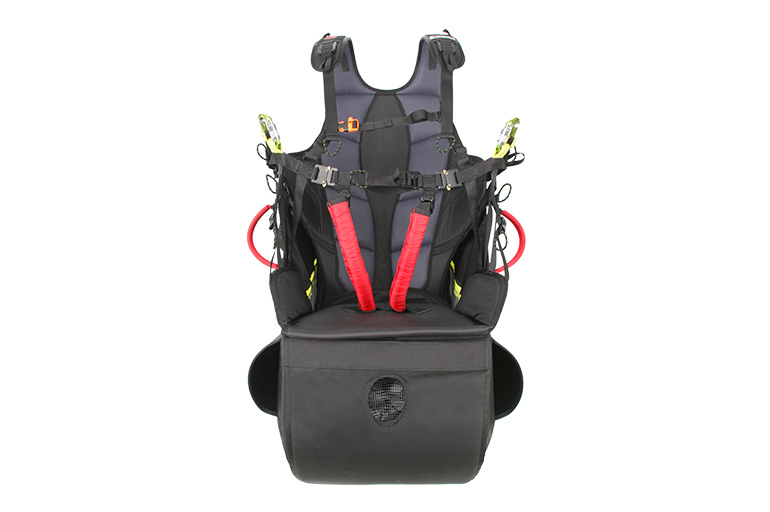 Weight of harness: 3.1kg including back protection, excluding carabiners and seat plate. 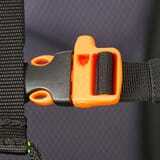 velcro attachment point on shoulder straps for pilot instruments etc. 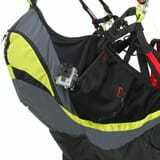 lateral mesh pocket with instrument loops, ideal for cameras etc. 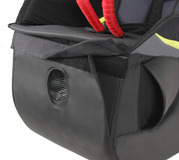 zippered lateral pocket for storage of passenger's personal effects etc.